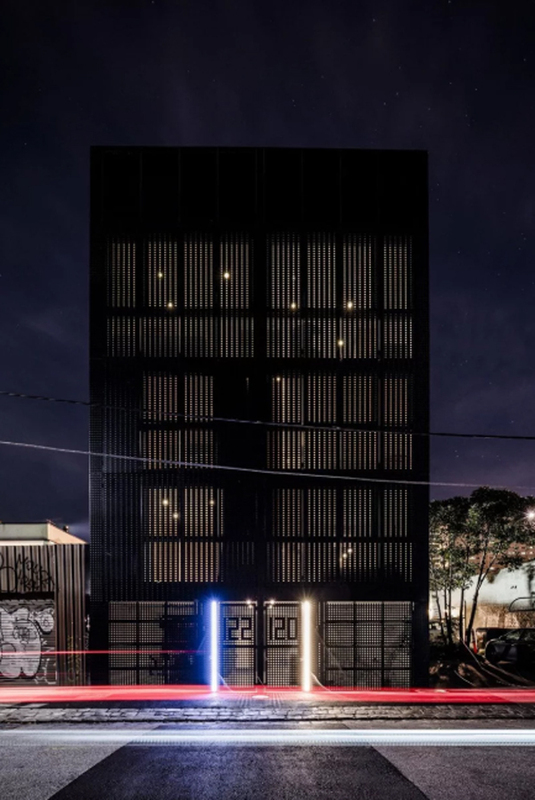 At present it is difficult to find a residence that is truly stylish in the middle of the city, but the collaboration of DKO and SLAB architecture has added a bold, masculine touch to the vertical black metal facade in Australia. 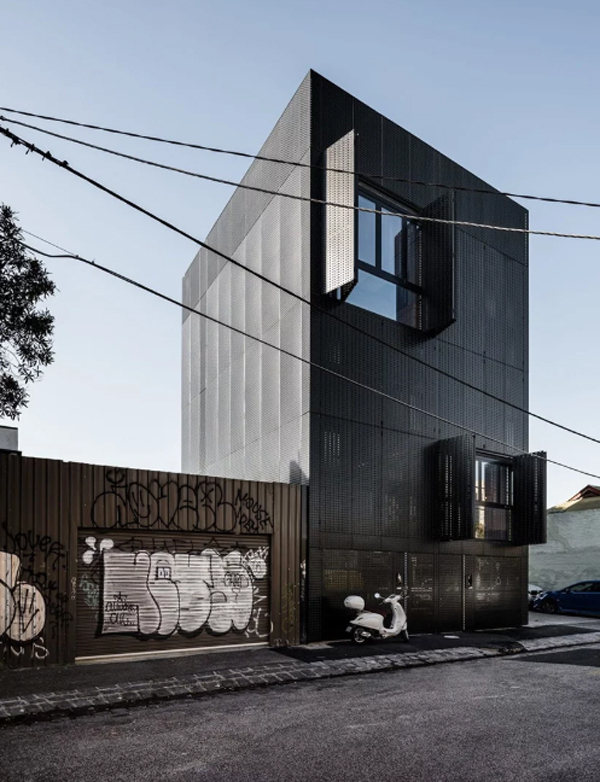 Named the Campbell Street residence it looks like a pair of urban townhouses generated from case studies in dense urban architecture. 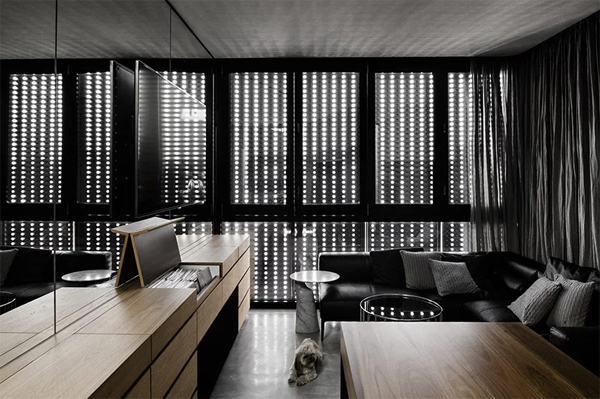 To make it happen, a plot of land measuring 76 square meters was converted into two, each consisting of a bright three-bedroom vertical residence. 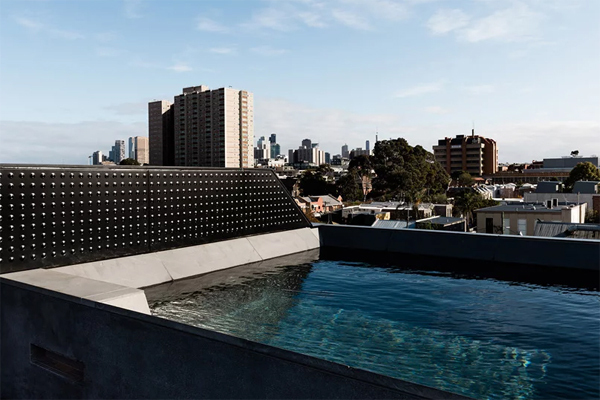 Located in collingwood, Australia, each house consists of six levels, including a basement, a garage on the ground floor and a roof terrace with swimming pool. 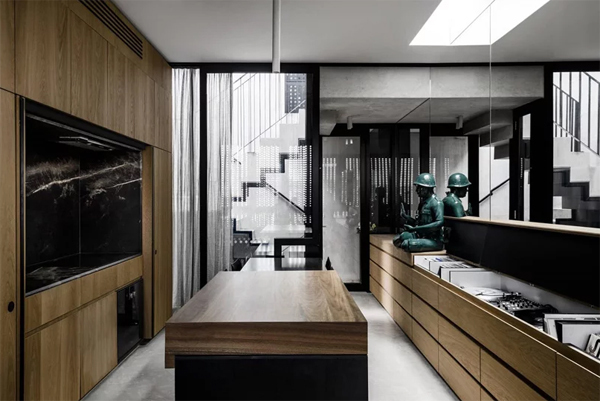 To create vertical space, a combination of two architectures includes a broad steel and wooden staircase that connects the floor, forming light wells that illuminate, ventilate, and allow vertical life. The interior is designed very creatively allows space and functionality to adapt to the needs, with kitchen and living room into a multi-function space. It can be seen that movable wooden slabs on the kitchen bench allow for re-application of cutting blocks to increase feeding capacity. The bedroom is also equipped with a wardrobe, bathroom and integrated learning zone which together highlights the compact size of this interior space. 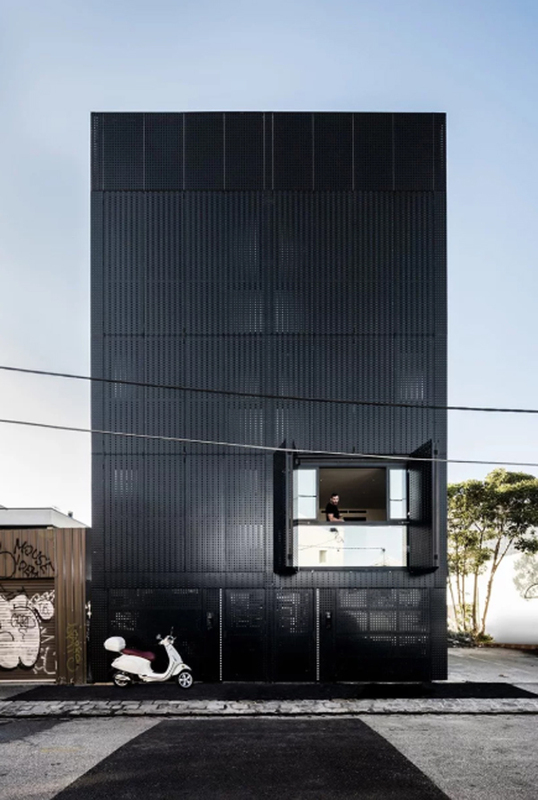 I like the selection of a black metal screen that can be operated to portray the dappled light in the interior, while the roof deck offers amazing urban views towards Collingwood. Lush landscapes, along with swimming pools create a comfortable city escape and a private place to enjoy warm days. It almost looks the same but is actually different, each occupancy has its own personal touch. High-quality materials and equipment that will give a sense of design that is made and finely detailed in both houses. 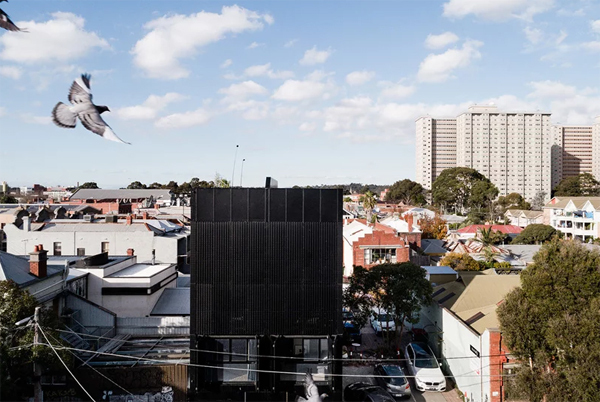 Not quite up there, the material palette consists of black steel and concrete raw-inspired urban context area and past the working class.